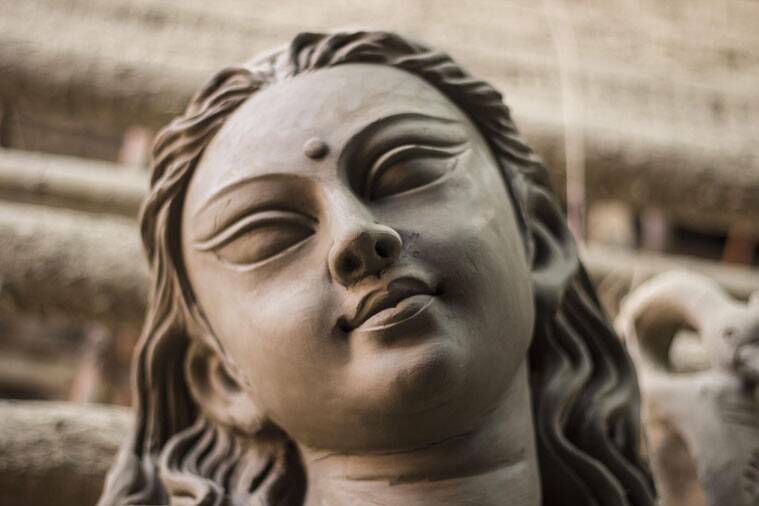 From Durga Puja to Kolu, each state celebrates this festival in its own way. The word Navratri is derived from Sanskrit which means nine nights – nava (nine)ratri (night). Nine forms of maa Durga is worshipped during these nine nights and days. Each state celebrates this festival in its own way. Navratri is one of the most awaited festival in Gujarat. 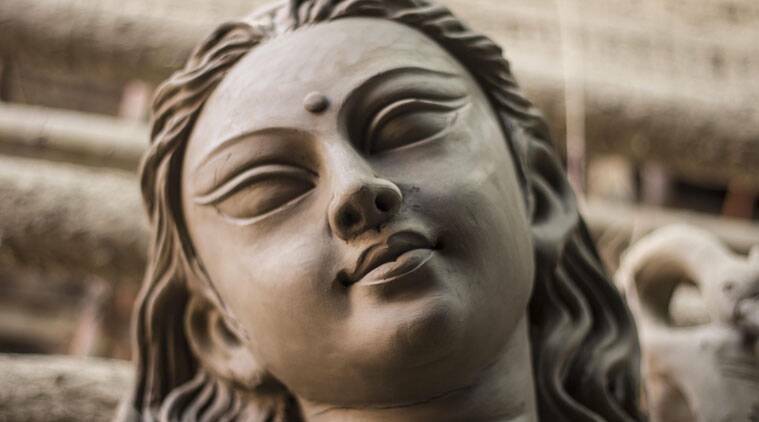 Here, Navratri is celebrated on the first nine days of Ashwin month. Devotees fast for nine days and worship the idols of the goddess. According to the tradition, the women who are observing the fast bring an earthen pot home, with holes, and light it every evening and perform the aarti of maa durga. The pot is called ‘Garbi’ and the light symobolises Shakti, ‘power’. 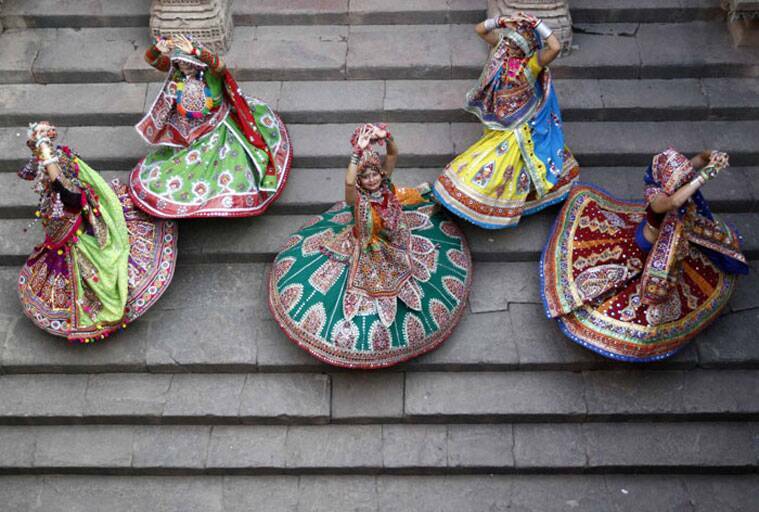 Garba raas and dandiya raas are the two beautiful form of Gujarati dance which is usually performed by Gujarati men and women, who are traditionally dressed in chaniya choli and kurta. In West Bengal, this festival is celebrated as Durga Puja. People of Bengal celebrate this festival in the last four days of Navratri. During this time, you will find Bengali girls and women in gorgeous saris and men in Kurta-Pyjama. Life sizes idols of goddess Durga are erected on pandals. Every evening maha aarti is performed and familiar sound of Dhak, Dhunuchi nachh, the mild fragrance of Shiuli, gives a familiar tug to every Bengali heart. Down south, Navratri is celebrated in a tad different way. 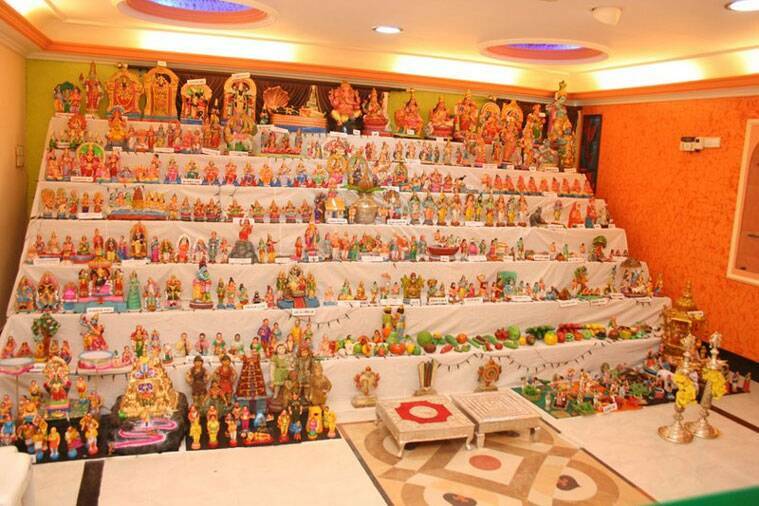 For South-Indians, Navratri is the occasion to invite friends, relatives and neighbours over to look at the Kolu, which is basically an exhibition of various dolls and figurines. You can see a lot of enthusiasm and competition among the young girls in Tamil Nadu who along with their mothers create Kolus (decorated dolls) with different looks. Goddesses Lakshmi, Durga and Saraswati are worshipped for three days each. Gifts of coconuts, clothes and sweets are exchanged between the freinds and neighbours. In the north too, the custom of offering gifts on Navratri is common. Navratri gifts like sweets, chaniya cholis for women with matching accessories and kurtas for men are sent to relatives and friends. 3 Neurologist launches brain pen, any takers?